Review: can Elektron’s Model:Samples get everyone into hardware? 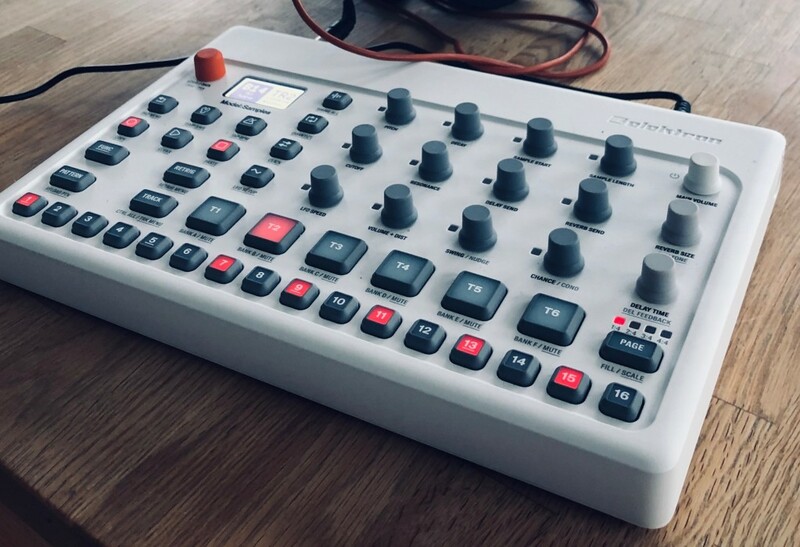 At about $400 street, with tons of hands-on control and simple samples, the Elektron Model:Samples has more in common with classic Japanese grooveboxes than the company’s flagships. So what’s it like to use? Here’s our review. This time, we turn to a new contributor – one who calls Elektron’s Gothenburg home, so we get that authentic Swedish touch. 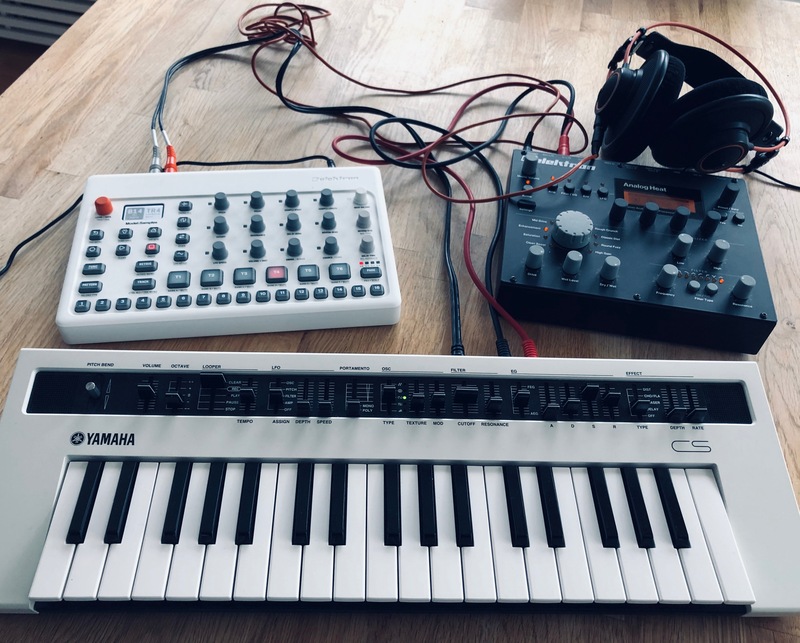 Andreas Roman is an accomplished content creator for the video game industry, a tech journalist, and has a passion for music on the side, particularly those boxes from Elektron. And in fact, why not look at the Model:Samples from the perspective of people who want to keep their day job? Because until there’s a special techno monastery/nunnery where you can retreat to devote all waking hours to subsistence farming and learning machine menu structures (wait – hold on, making myself a voice memo) – well, you might want to get something you can play with, like, quickly. Can the Model:Samples hold up to that immediacy, get you over the barriers to making music, and live up to the Elektron name? Let’s find out. -Ed. I can’t say I was surprised when Elektron announced the Model:Samples. It makes so much sense in Elektron’s lineup, from so many perspectives. It looks different. It plays different, at least compared to the high-end beasts. And it has a price tag that’s a little closer to that impulse-buy reflex. If you, like me, have been into Elektron for a while, it does feel like we’re not in Kansas anymore. But that’s cool. Elektron does a lot of things well, and whipping up a tornado that brings us to places we didn’t expect is one of them. I’m sure the storm’s just begun, with more Model:Something gear on the way. Not that I know anything – I’m just guessing. The concept is simple – this is a sample player. It has six tracks, which also send monophonic MIDI, if that’s your thing. You can trigger these samples from the pads (I love those, by the way) or from the sequencer’s row, in-scale. And that’s basically it. There’s just one LFO per track. You’ve got no proper control over the envelopes. Forget about time stretching. Pitch control is in semi-tones only (unless you short-circuit this through the single LFO, which can set fine-tuning as a destination, and slicing, re-sampling, compression, and EQ are all off the table. Really, as far as working with samples go, this new kid on the block doesn’t do all that much. You’d be forgiven for thinking that the Model:Samples is entry-level, on all levels – like the delightful KORG volca sample, for example. But you’d be wrong. The Model:Samples certainly cuts back on features – not only for an Elektron instrument, but for a focused sample player, in general. But it gets much of the important stuff just right. I jam away on the pads and love how they feel. Okay, some say they’re stiff, but for me, they’re perfect. I’m a pianist; I’m used to some resistance anyway. I tweak the filter and can’t decide which of the gazillion sweet spots I’m gonna go for. I throw in some reverb and have to stop and think if it isn’t the best space I’ve heard outside of standalone gear. I scroll through the factory content and I’m thinking, there’s someone at Elektron who loves samples. And they wanna share this love with us. Then, I plug in the Model:Samples into my computer and hey, it records the stereo output just like that. No sound card, no nothing. It just works. And about that sequencer. Here, Elektron has recognized that with six tracks, you can make complete song. So, if there’s one area in which you wouldn’t compromise, it’s compositional structure. The sequencer adds depth with some carefully-selected, nuanced details, like individual time signatures per track – which I believe is a first since the Octatrack – and options for polyrhythms. It does parameter locks, it has excellent options for re-trigs, swing per track, micro shifting, and conditionals. Put them together, and you can make a pattern really come alive. You can also load your own samples through the Elektron transfer app. So if you got samples you like, it’s a fairly straight forward affair to copy them to the Model:Samples and store them on its pretty extensive drive. The Model:Samples reminds me as I play it that there’s a difference between a list of features and what an instrument really is. In a great piece of kit, the two don’t compare. They’re both relevant – because time stretching might be critical to you – but they don’t necessarily belong in the same discussion. Having said that, this is still Elektron. They say the Model:Samples is a one knob per feature instrument, which is a first for them. But I think that’s stretching it a bit. There’s still a fair number of functions that requires a double-push to find. The file system is as confusing for an Elektron rookie as ever – and might even puzzle a veteran or two. Some producers will twist their fingers in a knot before they’re comfortable with the retrig feature. Correction: An earlier version of this story described the Ctrl All feature as more complicated than it is – just hold down track and turn a knob. Handy! Nice all-hardware studio: Yamaha reface CS, Elektron Analog Heat, Elektron Model:Samples. I’d argue there’s a real wall to hit with the Model:Samples, and that’s when you want to use multiple patterns to create something extensive that you either can’t, or don’t have the skill to, reproduce in a live context. Imagine that you’ve built something over eight patterns that use the same set of sounds, and you adjust volume, pan, and reverb on one track in one pattern to get it right. You want this change to apply to all your eight patterns now. To get there, you’d have to do this change manually over all eight patterns, if you wanted consistency. You can copy notes from one track to another, and entire patterns from one slot to another, but specific settings for a sound or settings for the entire pattern? Can’t be done. Given that beginners are more likely to approach pattern-based music like this, it’s an odd omission from a unit positioning itself as entry level. There ought to be a way to implement this sort of feature in a beginner-friendly way – even if Elektron’s implementation in its higher end models (as with its powerful kit system) can be difficult to grasp. Which brings us to the big question – what’s the point of Model:Samples? It’s great, but do we really need it? Some of the competition here comes from Elektron themselves. The Digitakt is worth comparing, and it’s got substantially more depth, with real sampling from inputs, plus envelopes, sample locks, and whatnot. And the Digitakt is still approachable. 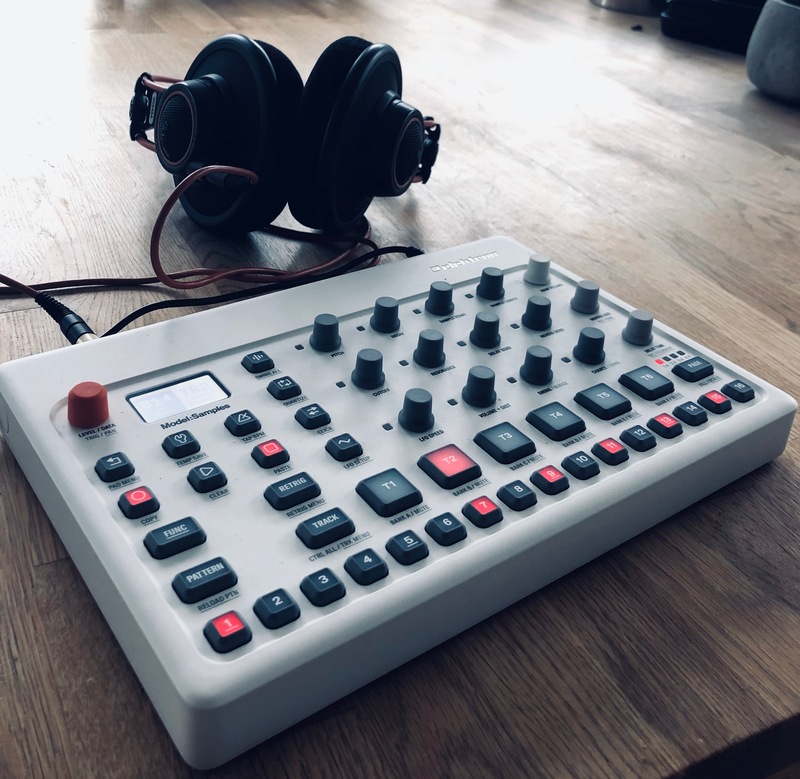 The Model:Samples is cheaper than the Digitakt [around half the price], but not entry-level cheap – meaning you might want to save the money to buy a Digitakt. Model:Samples is easy and direct, but not Novation Circuit or KORG volca direct. Elektron just can’t stay away from obscure folder systems and multiple button presses, can they? Ed. : now you’ve got the boutique Twisted Electrons deton8 to think about now, too – which has more sample manipulation features and costs less. Model:Samples records from USB, which is cool, but just when Overbridge arrives, Model:Samples doesn’t support it. And consistency over patterns requires manual labour that makes no sense. The Model:Samples as an instrument is more than a list of features. It’s like a greatest-hits version of Elektron’s accomplishments throughout the years. It might not contain all your favorites in the playlist, but it’s pretty close. It sounds absolutely amazing. The sequencer is an eclipsing argument for hardware. And it has style – the funk machine the 2001 astronauts probably jammed with before Hal threw in all kinds of random conditionals into the mix (pun seriously intended). With the Model:Samples, we’ve got no excuses left. With six tracks worked into an amazing sequencer, a spectacular sound engine and effects and filters, it’s everything you need for top quality sound that could rock the club for hours. If it is inside you, this device will give you a great place to start learning. Anyone can be a great musician. Elektron just made it easier for you to become one yourself. Here’s Andreas’ very-catchy track, produced entirely with this box – some very nice work, especially given this is a first outing with this hardware. Ed. : Going to keep an eye on this one. Elektron are known for delivering more functionality over time with OS updates. It’s clear what might sweeten the deal here – continuous pitch or time control for samples? More modulation? A solution to copy-paste parameters and not just note data? All of the above? We’ll stay in touch with Gothenburg to see if they cook more up. For now, thanks to Andreas for a clear rundown of what makes this special already.